Life beyond a cancer diagnosis is often bleak. But with SEF Chemotherapy®, it doesn’t have to be. Our international clinics are breaking through the barriers of conventional cancer care. With SEF Chemotherapy®, for the first time in history, we are putting the odds in favor of our patients. SEF Chemo® is a revolution in modern medicine. With Side Effect Free chemotherapy, patients are able to receive a therapy with statistically unprecedented results, without the negative side effects experienced during traditional chemotherapy treatments. SEF Chemo® is much safer and clearly superior to conventional chemotherapy. Because SEF Chemo® doesn’t compromise your immune system like conventional chemotherapy, your body’s immune system is able to continue in the fight against cancer cells. Therapy can be completed in as little as 16 weeks. Many patients experience horrible side effects from traditional chemotherapy. But with SEF Chemo®, these side effects are mitigated, protecting the body’s immune system throughout the entire process. In fact, none of our patients have ever even reported vomiting. Our clinics offer the most comprehensive care available. Our staff are trained to care for the physical, mental and emotional well-being of the patient, and we spend as much time as necessary to achieve an unparalleled quality of care. Dr. Kenneth Matsumura is a world-renowned scientist dedicated to solving some of the worlds most difficult problems. His inventions include, but are not limited to, The HeartAlarm™ wristwatch that gives it’s wearer early warning of an impending heart attack, SEF Chemotherapy®, the bio-artificial liver that Time Magazine named Invention of the Year in 2001, and the bio-artificial pancreas that eliminates the need for daily injections. He began his medical research at the age of 13. His first paper, on a new rapid skin-grafting technique was published in 1961, at the age of 15. And in 1962, he became the youngest person to ever receive a research grant from the American Lung Association. While his medical research and innovation are remarkable, they are matched only by his passion for social justice, equality, and philanthropic work. Read more about him by clicking the link below. 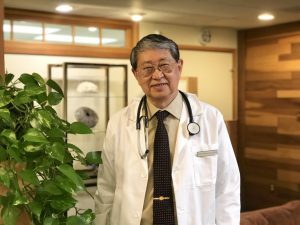 Our team of scientists and physicians at The Berkeley Institute International have been personally trained by Dr. Kenneth Matsumura to ensure all of our international clinics follow the exact protocols developed by Dr. Matsumura to provide revolutionary cancer care in 3 countries across the globe. With conventional chemotherapy, the side effects are often as insidious as the disease itself. But with SEF Chemotherapy, that’s no longer the case. Treatment usually takes only 20-60 minutes, and patients report being able to go back to work the same day. Conventional chemotherapy decimates the white blood cell count. The stunning efficacy of our therapy is in the way it enable the body’s own immune system to aid in the fight against cancer. We offer the world’s only side effect-free immuno-chemotherapy. Dr. Matsumura has always put compassionate care above all other aspects of his clinic, and fully understands the difficulties placed on patients and their families. That’s why our staff is trained in complete, holistic physical and emotional care while patients receive therapy at the Berkeley Institute.